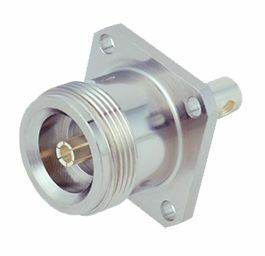 High power screw-on connector, operating in the range DC-14 GHz. 4.1-9.5, also called Mini DIN, was standardized in 2007 according to IEC 60169-11. It gained popularity in the 2010s to replace DIN 7/16 thanks to its lower size and weight but is outperformed by the new 4.3-10 DIN connector.